On March 27, 2014, Capt. 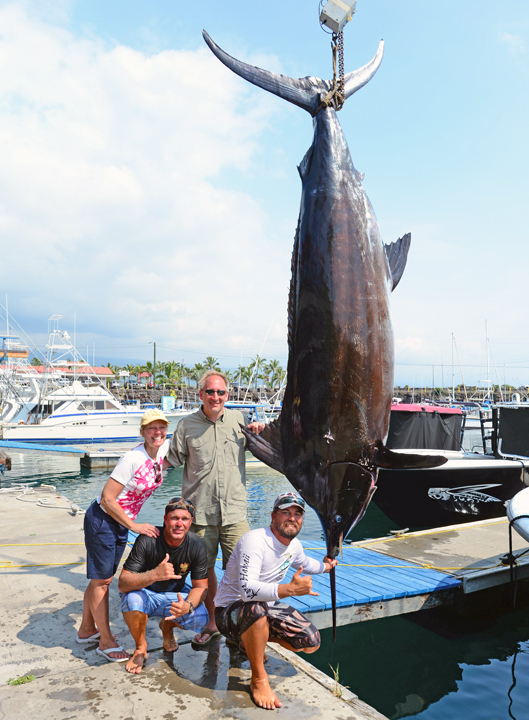 David Unger hooked angler Robert Steffens to the marlin of his dreams. The 1211-lb blue attacked an ice-blue tube lure designed by Capt. David's deceased father, Capt. Rusty Unger and exploded skyward immediately notifying the team on the NASTY HABIT that they were hooked to a seriously large blue marlin. Robert battled the fish with the drag on the reel fully pegged, but the fish died about 40 minutes into the fight. The job of retrieving line became a team effort for the next hour or more. When crewman Kai Hoover secured the dead fish, the hook fell out. Except that it was no longer much of a hook. The pressure had straightened the wire shank and broken off the point.